The place where we find ourselves on this gentle occasion is amongst a sea of weeping willows and empty streets. There's a cascading streak of the afterglow, or a glowing cascade of twilight embers barreling right down and in upon us as we stroll, hand-in-hand with imperfection - out there in our summer clothing. There's a light sweat spilling out in polite droplets from every pore that we own, but everything feels comfortable, just getting lightly sticky and salty underneath the fabric. The day's coming to a close and everything's calm and pacified, all of the beings inhabiting these homes and fields, content with full bellies of main courses and desserts. We're out walking off the meals or we're staring across the room at our wives, husbands, boyfriends, girlfriends and the children that may have come from such unions and we have a hard time not thinking aloud or silently to ourselves, "This is something very much like the good life that I've heard so much about in literature. This is good. This is so good." For a while, the cares and serious concerns that cause us to stress ourselves out, are about a million miles away and unrecognizably vague. We know and feel them only in reputation and heresy and it feels as if we've reached some kind of idyllic wonderland that we never knew we could get back to as adults. It feels as if we're walking in the lingering days of the past, when everything was just a shade easier and we could breathe deeper. 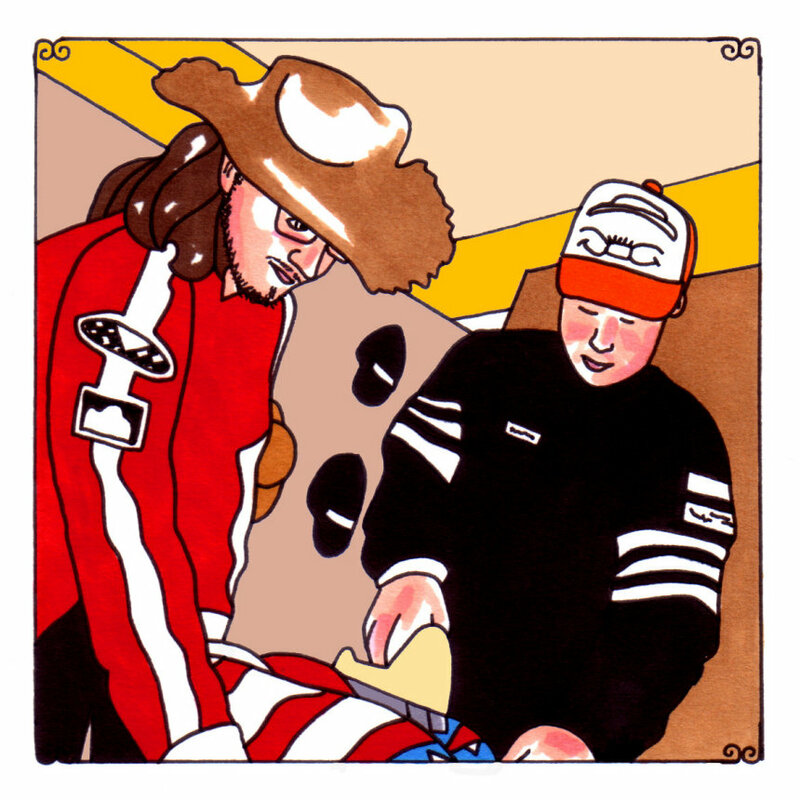 It's where Dale Earnhardt Jr. Jr. take us with its music. Joshua Epstein, the lead singer and songwriter of another great Detroit band called The Silent Years, and Daniel Zott make music that instantly draws from those days that we find we can't help but comment on -- the quality of the weather, the temperature, the visibility, the blueness, the crispness, etc., though it always tends to seem too easy. These are the obvious points of discussion for strangers and non-strangers, saying to another, "Boy, we sure couldn't ask for a nicer day, could we?" or, "These are the kinds of days when you're happy to be alive, aren't they?" and these sentiments are shared with an effervescent breeze and an authentic sunniness that shows up in the smile lines that dart curvatures on the outskirts of your mouth. The music that the duo made for its just-released EP, "Horse Power," seems so easy, so likeable and so naturally speaking, so simple to claim as a lifesaver or a spirits-picker-upper. It's music that beckons out to us and fills the role as some kind of pleasing intoxicant, able to wash us away from any and all of the ugliness that we find ourselves routinely faced with. It's a romance that we suddenly share with these songs, as if we've been swept off our feet, been proposed to and drunkenly said, "Yes, emphatically, yes!" without considering the implications or even thought about just what in the hell we were doing here. It's a whirlwind romance and it's okay. It feels right to be taken so easily. We're singing along and just soaked in the soft light, humming and affected so deeply. Epstein and Zott fill their songs with all of the surf and shine of a Brian Wilson composition, all while bringing samples and drum machines and manipulative brilliance into an otherwise purely organic process, allowing the nuances to flit and flirt with the undeniable pull and the unconscious charm of these songs. We tend to love ourselves more - we love our lot in this crazy life more - when we're around these songs. Bless them, all four of them for what they give. More from Dale Earnhardt Jr. Jr.